We love discovering fun places to go in (and around) Brentwood, TN. 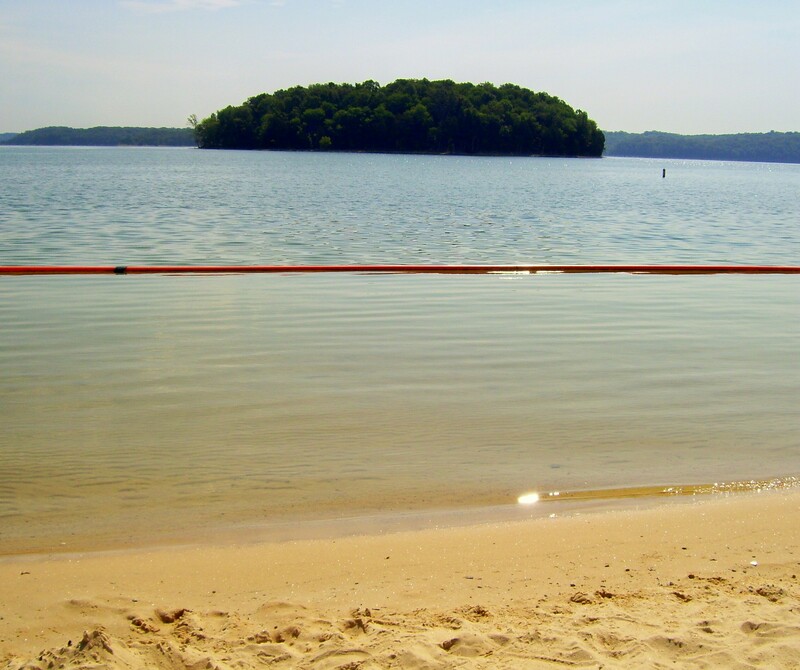 Should I tell you about Nashville’s best swimming beach, or should I keep Percy Priest Lake‘s Anderson Road Recreation Area all to myself? Believe me, I had to think on this one! I had very low expectations when we headed to Percy Priest Lake, which sits between Murfreesboro Road and Stewart’s Ferry Pike. We got lost taking Old Hickory Blvd. from Brentwood. Old Hickory Blvd. becomes Bell Road through the Hickory Hollow Mall area. Continue on Bell Road as it crosses Murfreesboro Road. When it appeared to split, I stayed left on Bell Road (when I should have turned right). That took us past Hamilton Creek Park and sailboat marina. Eventually, we stopped at the US Army Corps of Engineers headquarters for directions. The Percy Priest headquarters is a beautiful stop in itself, with attractive landscaping, picnic tables, a view of the dam. Inside, you can pick up free lake maps, boating information, and even water safety activity books for the kids. The helpful clerk assured me that the Anderson Road Recreation Area was worth a stop. We stopped at a wooded visitor booth to pay our admission fee: $4 per carload, or $30 for an annual pass (good for any U.S. Army Corps of Engineers recreation area). 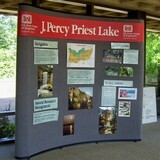 Here are the official driving directions to Percy Priest Lake recreation areas. On a weekday morning, the parking lot was empty. We stared at the hillside of picnic tables in disbelief. Were we still in Nashville? The kids ran immediately to the playground as we unpacked the car. Two maintenance men were emptying trash at the brand new bathrooms, so I asked their advice. Oh, it’s a different place on the weekends, 500 people crowding the beach. You have to get a parking spot by 8 am, or they reach the limit of people and close the gate. But come here during the week and your family will have plenty of space. I still couldn’t see the so-called “beach” through the trees. We left our cooler at a nice, paved picnic spot and headed down the hill. There really was a beach! Not the rocky, mud beach I had expected, but a sandy stretch of lakeside with water so clear that we could see our toes! Children can swim within a 4-foot depth enclosure, while adults can venture to the buoys beyond. Passing speed boats make fun waves. 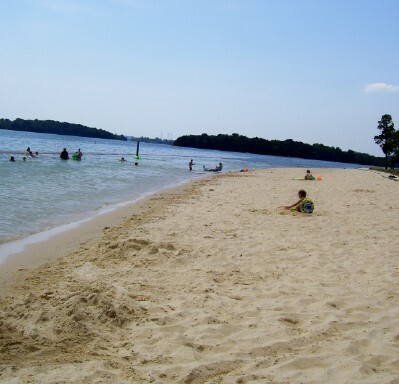 Be warned: Percy Priest Lake beaches have no lifeguards, except for the Nashville Shores complex on the other side of the lake. The Goose Report: I’ve heard reports of a goose problem at the Anderson Road Recreation Area. Apparently, picnicking families are feeding the geese, which then leave their poop all over the beach area. One mother discovered that the beach is cleaned on Thursdays, should you like to plan your trip accordingly. 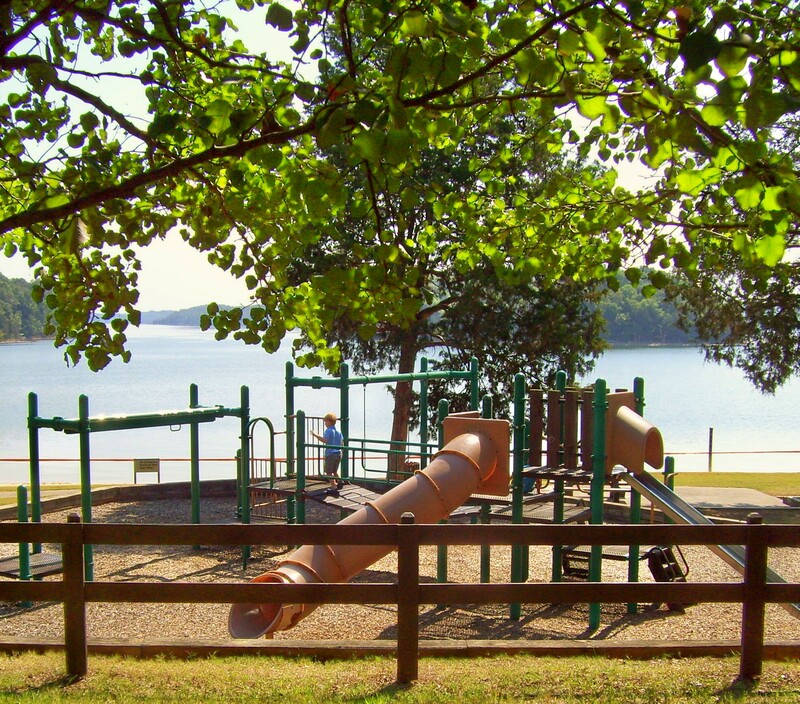 Update: See why Percy Priest Lake looks so different this year, and what parents should know about the water level while you’re there.